The iPhone 8 has a smaller battery. THIS week all the hype was on Apple's tenth anniversary edition iPhone X, with the freshly announced iPhone 8 and iPhone 8 Plus falling by the wayside. Compared to the changes seen with the iPhone X, the models were slightly underwhelming in comparison as they only received minor upgrade from the iPhone 7. And while these changes make the iPhone 8 better than its predecessor, there is one massive feature that is actually a downgrade. 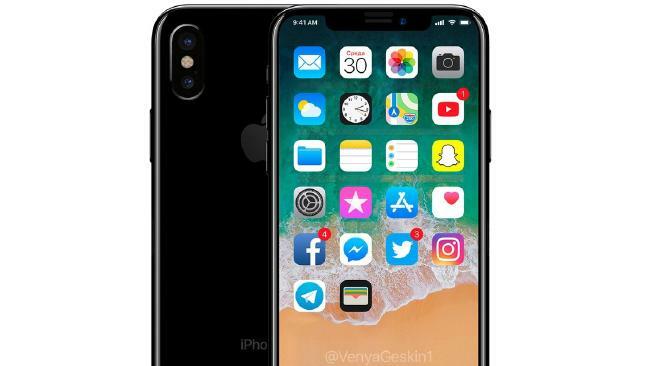 Specs released from Chinese telecommunication authority TENAA show the iPhone 8 will actually have smaller batteries than what is currently in the iPhone 7. The iPhone 8 only has a 1,821mAh battery, while its predecessor has a 1,960mAh battery. Furthermore, the iPhone 8 Plus has 2,675mAh battery, compared to the iPhone 7 Plus' 2,900mAh battery. Apple claim the battery "lasts about the same" as the iPhone 7 and iPhone 7 Plus, despite the clear downsize. The only reasonable explanation for the change would be Apple has managed to get battery optimisation through software to ensure the downgrade is a non-issue, although this hasn't stopped people from voicing their concerns. Aside from the smaller battery, the newer models do have a number of improvements. Both the iPhone 8 and 8 Plus now have aluminium banding around the edge, with the strongest glass ever on a smartphone on the front and back of the device. Photography has also been made easier with an Apple-designed image signal processor, which allows for faster lowlight auto focus, improved pixel processing and noise reduction. An all new 12-megapixel sensor with 83 per cent more light and an improved portrait mode. The 8 Plus has stuck with dual 12MP sensors and will include a dual-camera feature called "Portrait Lighting", which allows users to rework the lighting while composing the shot to add a sense of depth. In terms of video, the iPhone 8 and iPhone 8 Plus can shoot 4K 60 frames per second and 1080p 240 frames per second in slow-mo. The iPhone is calibrated for augmented reality photos, apps and games. As expected, the iPhone 8 and iPhone 8 Plus have been made for wireless charging and will use the Qi system used by restaurants, shops, cars and airports. The iPhone 8 and 8 Plus will be available in 64GB and 256GB. The iPhone 8 will start from $A1079, while the iPhone 8 Plus will start from $A1229. Both devices are now available for pre-order and will be in stores beginning September 22. Three new iPhones: What's the difference in the three new phones from Apple?